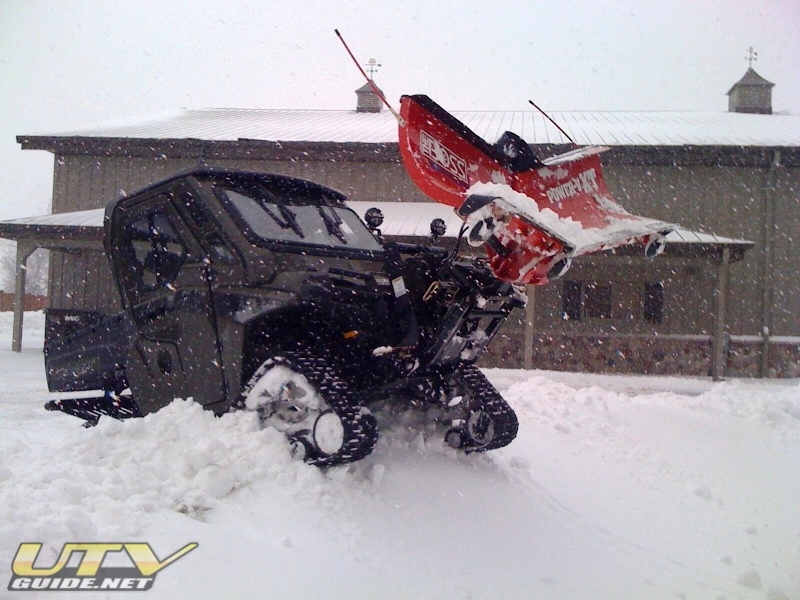 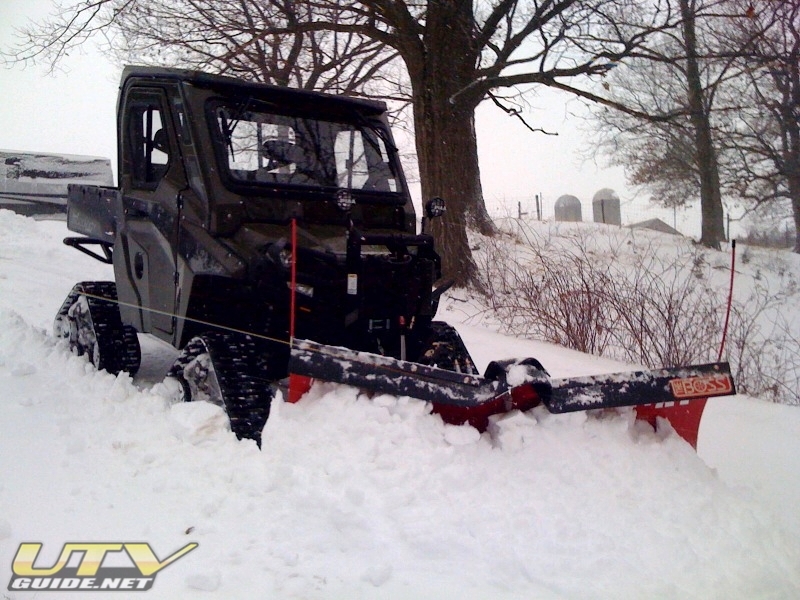 This Ranger HD will be used at Guy Bradshaw’s cabin in Northwest Wisconsin as an all-around UTV for hunting the steep bluffs in Buffalo County (Alma area). 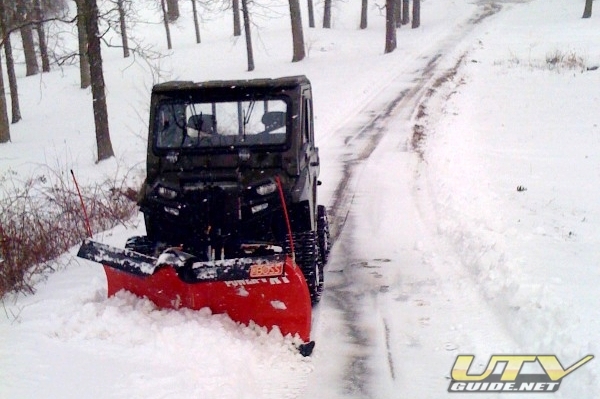 Due to steep muddy, slippery, and snowy terrain conditions during late season hunts such as muzzleloader in December, Gary wanted to make sure that his RANGER could get to even the most remote hunting locations. 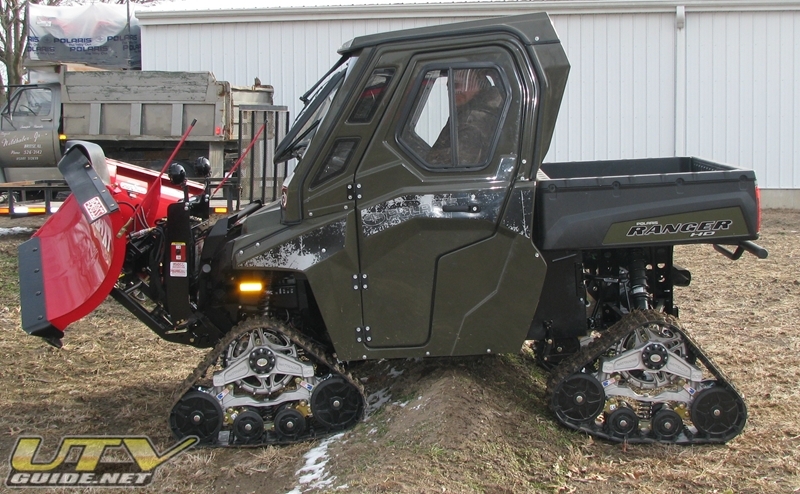 Mattracks LiteFoot tracks were added to allow the RANGER HD to get everywhere in the mud and snow.In addition to hunting, the unit is used for snow-plowing around Gary’s cabin which has a ½ mile long driveway straight up at 45deg. 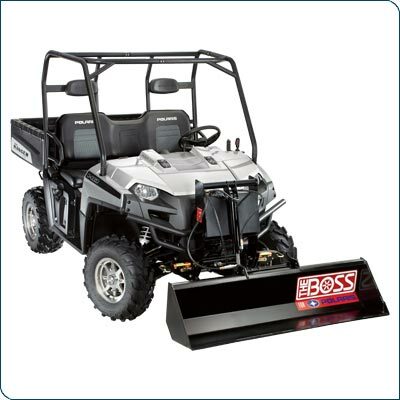 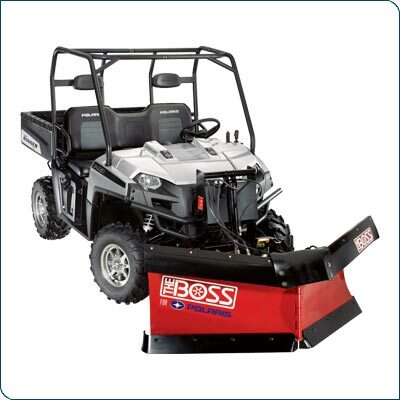 Gary added the BOSS Lift & Carry System with V-Plow, Bucket for moving dirt & gravel, & Grapple attachment for moving brush piles & limbs along with logs that have been cut to create trails / clearings for food plots. 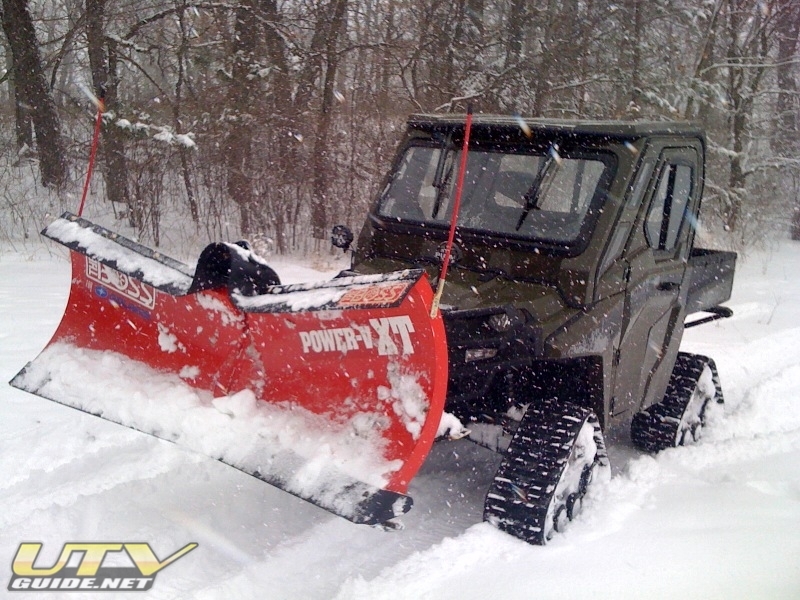 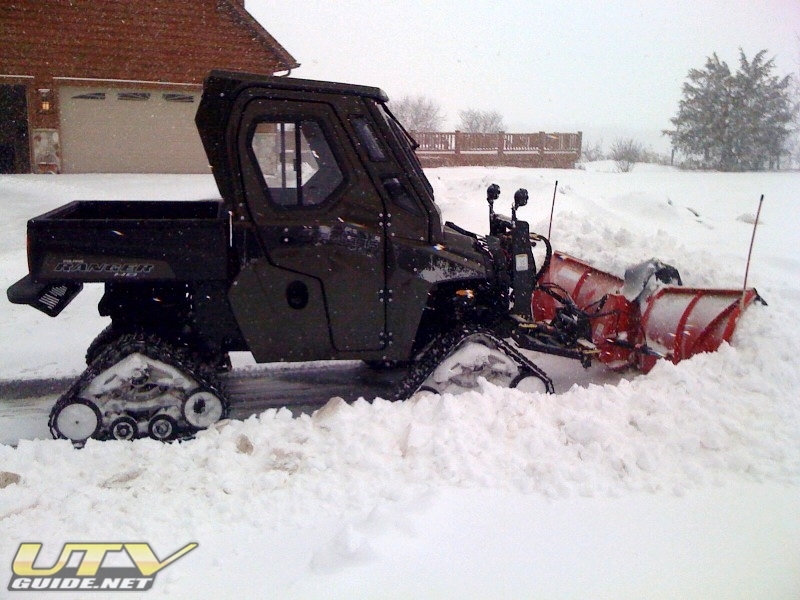 For use during cold weather, Gary added a RangerWare full fiberglass enclosure. 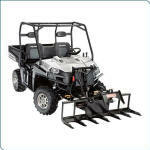 Gary purchased the RANGER HD fromBreese Lawn & Garden in Illinois and had them install the PURE Polaris accessories. Gary has also purchased complete line of DR equipment including: brush mower, tiller, spreader, compactor, & sprayer for planting & maintaining food plots and trails. 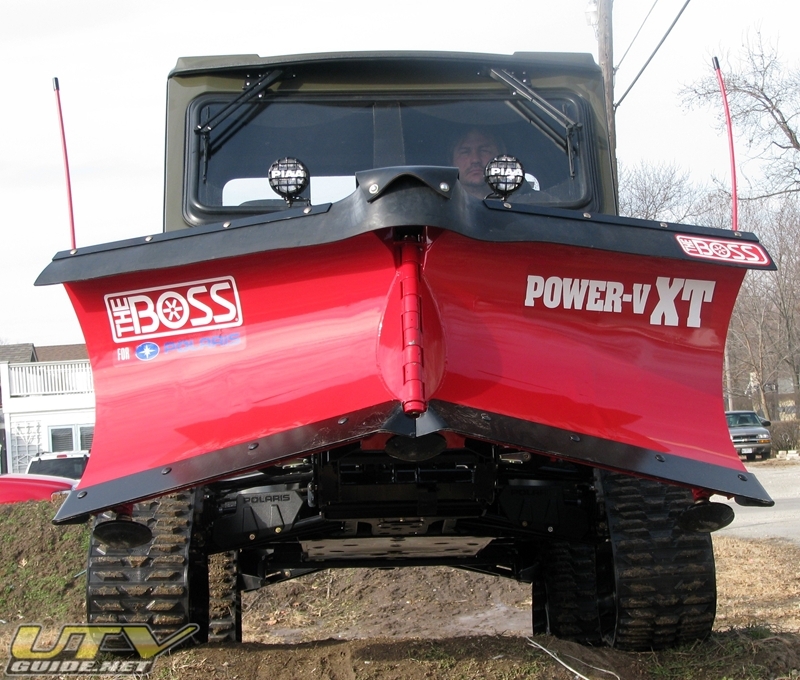 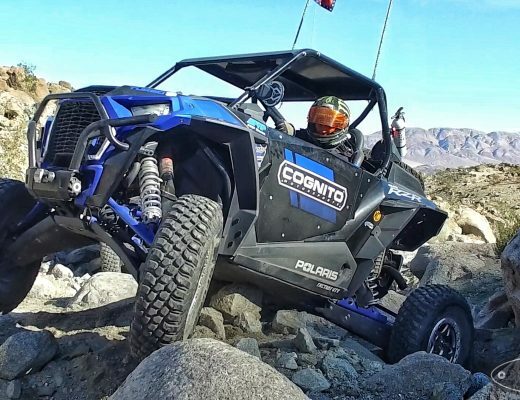 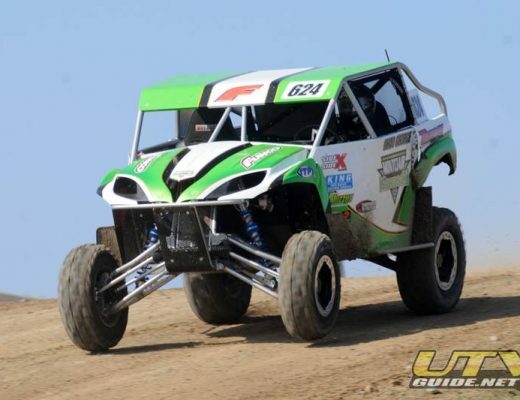 Other Polaris UTV / ATVs in Gary’s stable include: 2009 6 X 6 Big Boss 800 EFI, 2010 Ranger Mid-Size EV (for bow season to keep sound down), 2010 Ranger Mid-Size 400 that Gary’s son is moving up to this season after learning the ropes on his Youth RZR 170.